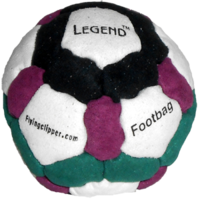 The Legend Pellet Filled Footbag has no equal in todays footbag market. 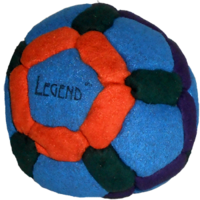 Unique to Flying Clipper, this hacky sack has elongated our truncated hexagon design and combined them with pentagons, which is a very special look for a footbag. 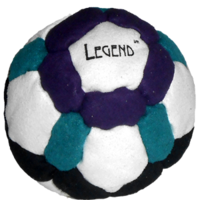 Thanks once more for supporting the inventors. 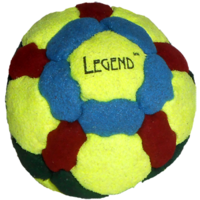 A one of a kind legend! 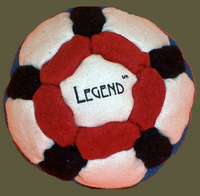 This footbag maintains all the excellent characteristics of my othe favorites the juice and the dream, but has a unique design that is really a joy to look at while it's in the air. 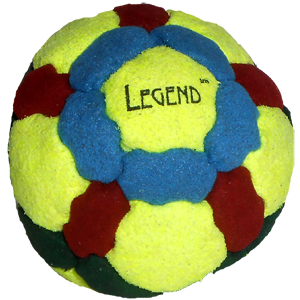 This footbag soars. Give it one small kick and it's up in the air. It's pretty awesome and has a unique feel.